Avendus advises the shareholders of Devidayal Sales in a strategic transaction with Arysta LifeScience. 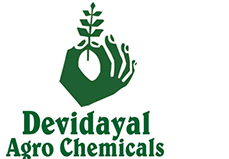 The shareholders of Devidayal Sales Ltd. (DSL), one of India’s top 10 privately owned formulator and distributor of pesticides, agrochemicals and micronutrients, sold a controlling stake in their Company to Arysta LifeScience, the world’s largest privately-held crop protection and Lifescience Company, with 2010 revenues in excess of USD 1.3 billion. DSL, founded in 1949 and headquartered in Mumbai, is a formulator and marketer of pesticides, agrochemicals and micronutrients in India and international markets. DSL is amongst the top 10 privately owned agrochemical companies in India. The company operates 26 branch offices and 36 stock points across India as well as a formulation and packaging plant in Kalol, Gujarat, India. DSLl has developed an extensive distribution network over years of strong relationships and currently has a broad access to over 7,000 channel partners and more than 20,000 retail counters in India. DSL exports products to more than 35 countries in Europe, South America, the Far East, Asia Pacific, Africa and Middle East. Headquartered in Tokyo, Japan and owned by Permira, a private equity fund based out of Europe, Arysta LifeScience is the world’s largest privately held crop protection and life science company with 2010 revenues of JPY113 billion (US$1.3 billion). An entrepreneurial provider of crop protection and life science products in more than 125 countries worldwide, Arysta LifeScience specializes in marketing and distribution of respected crop protection brands and life science products in harmony with the needs of global partners. Avendus Capital (Avendus) is a leading financial services firm with a strong transaction record and established relationships with companies and investors. Avendus has been consistently ranked among the top-five corporate finance advisors in India and is the largest LifeScience advisory firm in India for the fiscal year 2011 (by volume of deals closed). Avendus uses its unique domain and industry-focused approach in businesses such as M&A advisory, private placements for growing companies, structured finance advisory, equity capital markets, institutional broking, alternative asset management and wealth management. Avendus has emerged as the advisor of choice for cross-border M&A deals—23 Indo-US and Indo-Europe deals—in the past three years. Headquartered in Mumbai, Avendus has offices in New Delhi, Bangalore, New York and London.